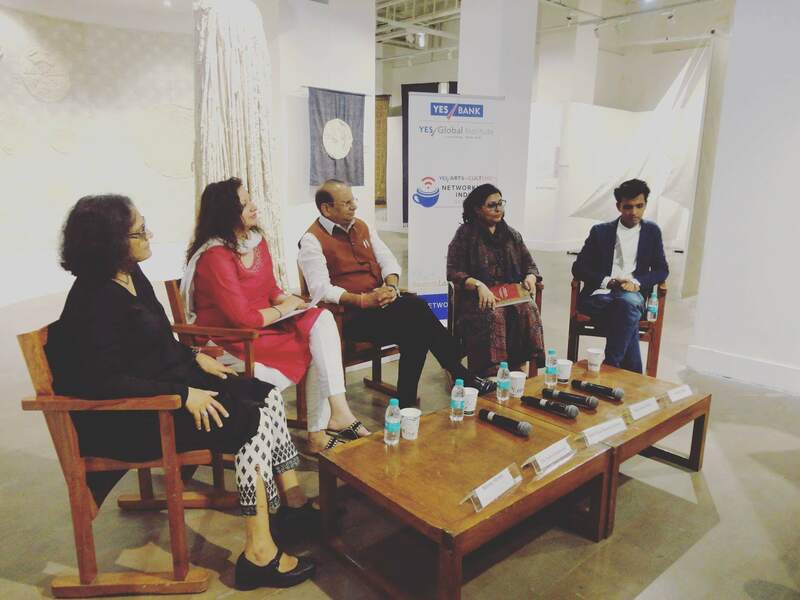 Joining the artist on the panel were the Chairman of KVIC, Vinai Kumar Saxena; Cofounder and designer of Eleven.Eleven -Himanshu Sahi along with Writer,Author and Journalist Meena Menon. The various perspectives on Khadi in contemporary times addressed the need to work with rural craftsman and artisans in reviving the art of spinning/weaving as well as the significance of the kind of cotton crops we seem to be growing in India . This discussion covered the historical, anthropological and cultural drawbacks that need to be visited and studied further, to help get back to an India that probably once was and what could be. © 2015 Shelly Jyoti. All rights reserved.